Pict Publishing | Empowered Voices: Ways in which I combat Writers block! Ways in which I combat Writers block! Okay, pull up a chair and get close as there is something I need to tell you and it's very important. Writers Block is a real thing and almost every writer in the world experiences it at least once in their lifetime, if not many, many times. It can be the most soul destroying and crushing thing for someone who lives by the pen. Endlessly staring at your notepad, typewriter or PC screen for some sort of inspiration to make your fingers move and put absolutely anything in the daunting white space. I have known people experience actual palpitations, anger outbursts, frustration and even sadness when faced with severe writer's block. There are a few reasons you may be faced with an inability to put any words down, even if your brain aches to write. Fear, I guess putting yourselves out there for others to read, dissect and criticize may be enough cause to lock that head up tight and never let a single word escape for fear of being laughed at or criticized. Perfectionism, when you imagine writing is opening your beautiful creative head and flawless sentences with no need for editing flutter out amid a glowing halo of happiness, the inability to achieve such things hinder you. And the one which is common for me.... Timing! That story, scene, dialogue has only been brewing for a short while and I haven't yet stewed it enough into what I want to write down on paper. Now there are many ways in which you can help purge your system of a little resistance. Peruse images online of your scene, characters, any sort of research which may jolt inspiration. Accept that no real writers ever put down a masterpiece in one go. 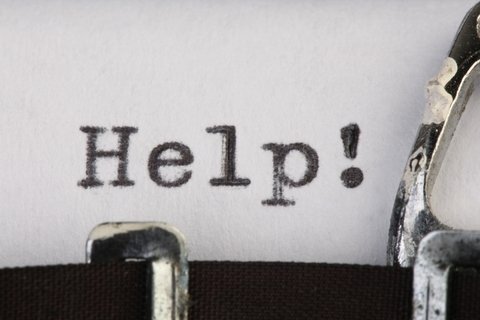 While all of these are really good to get you out of the funk if your affliction is minor there is actually really only one thing that is known to be a cure to writers block. And amazingly that thing is writing! It doesn't have to be good, it doesn't have to be a part of the masterpiece you are putting down on paper, it just has to be 'words' that you are getting down in any way you can. It's easier you see to write a lot of garbage you later throw aside than to write nothing at all. Because the 'nothing' can stretch into paralyzing fear that you will never write again and kill any hopes of ever overcoming it. A good writer is someone who pushes beyond the block in any way they can whereas a bad writer is one who waits till it passes to be able to write. So, I hear you asking .... Leanne, How do YOU combat writer's block? Personally, for me, it's something I usually experience when I'm mid-book and reach a scene that I'm trying to grasp from mid-air. I never have issues starting a book, getting inspired but sometimes I hit a middle of the road kind of thing when I suddenly have no idea what my story should be doing next. To procrastinate is always my first impulse and yes for a bit I may even do it, taking a break is sometimes all I need. I may even do it for a couple of days but I am aware that the need to do such unproductive things can be my undoing. I run, I exercise, I may even deep clean my house and put all my focus on anything other than my book. Why? Because that's when my brain relaxes and snippets of new scene begin to filter through. I have a really laid back approach to writing and when this happens I do not try grasping , I leave them alone. Read a book or watch a film and let my head begin to build on what's starting to appear. I like to daydream, verbalize bit's of dialogue. Yes, I crazily talk to myself or wander around waving my arms as I think through plausible scenarios. Eventually, when I'm happy that I have created enough to put down I will sit at my trusty PC and force myself to write a sentence. I am very, very tough on my rules. Rule one is to write without care! Mistakes, grammar, and even spelling are ignored as any form of distraction can only add to that mounting stress of writer's block. I don't care if what I am writing is trash, once you open that vein your creativity will eventually step in and take you away, it's just the initial hurdle you need to overcome. So for me Writers Block is merely a bump that I have learned how to deal with, if nothing appears in my head I simply start a new story, one I have no intention of following through and it's amazing how many times in doing so my brain aches to return to my main book by practically throwing new material at me.